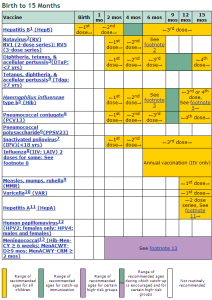 Ever seen the schedule of when your kids have to be vaccinated? Multiply that by the number of kids you have, not to mention the skyrocketing cost of office visits, and you see why it is difficult to get all those damned shots. Yes, misinformation and fear cause people to doubt vaccine safety and effectiveness, and the existence of this government organization doesn’t help. I delayed many immunizations for my kids because I was more worried about the impurities in the manufactured vaccines than in the environment. However, upon reading the studies on MMR, as well as the data on effectiveness vs. risk (there is real risk), I decided to get most of the recommended vaccines. But that does not mean that I trust big pharma, or the government, to always know what is best. Especially when it is injected into my children.